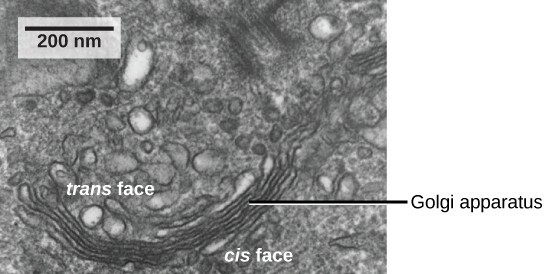 The Golgi Bodies is a collection of flattened membrane sacs called cisternae that carry out the processing , packaging, and sorting of a variety cellular products. There is typically five to eight cisternae, but as many as sixty have been observed. 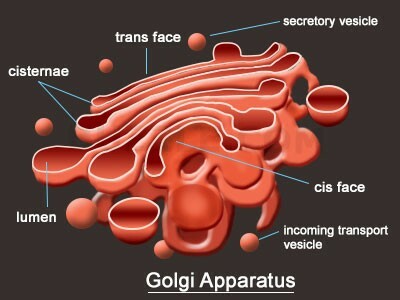 The Golgi Bodies receives protein and lipid from the Endoplasmic Reticulum (ER). They also gather simple molecules and make them into more complex molecules. It then takes those bigger molecules and packages them into vesicles. Without the Golgi Bodies we would not have DNA, because the DNA is composed of protein. Also, without the lipid packaged within the Golgi Bodies would be deformed.